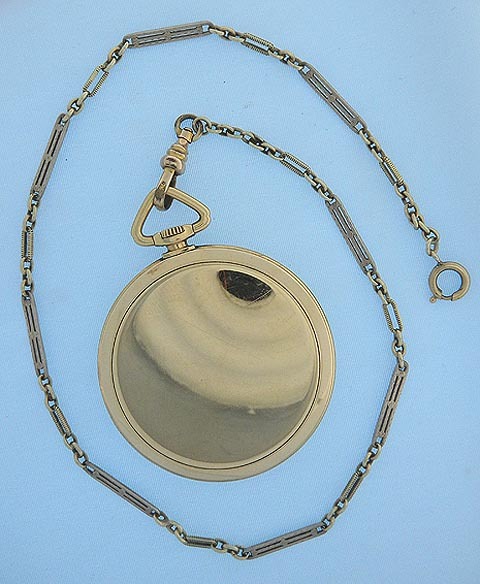 • Attractive 14K green and white gold Art Deco antique pocket watch chain circa 1925. 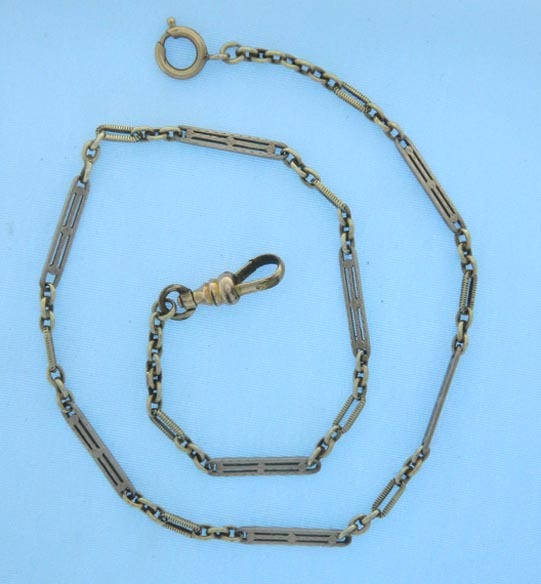 The swivel is gold plated. Shown with a 46 mm watch not included. Weight 5.8 dwt.